Falcon Theatre. Photo by Jill Mamey. 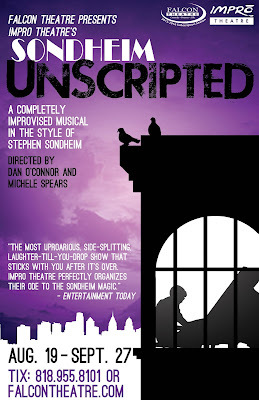 Falcon Theatre presents Impro Theatre's Sondheim Unscripted which sounds just as you imagine - an improvised musical in the style of Sondheim. 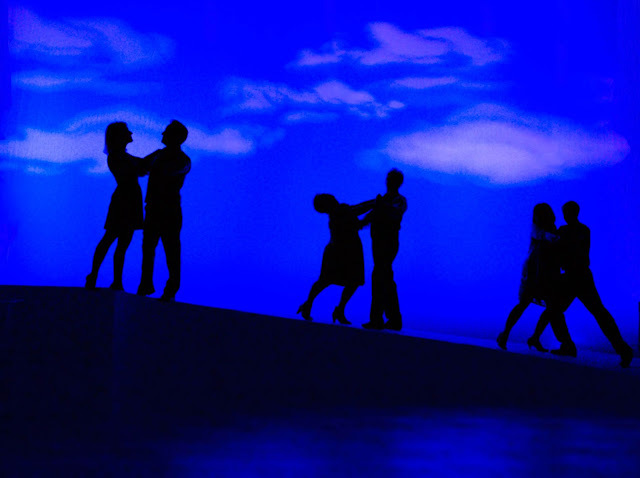 The cast and musicians work together to create rhymes, melodies, and themes in the style of Sondheim's work promising a truly original performance. The show runs through September 27 and tickets start at $36.50. The Falcon Theatre is located where Toluca Lake and Burbank meet in the San Fernando Valley. If you head there on a Friday night, be mindful of parking. The car show at Bob's Big Boy (across the street from the theatre) draws a big crowd.